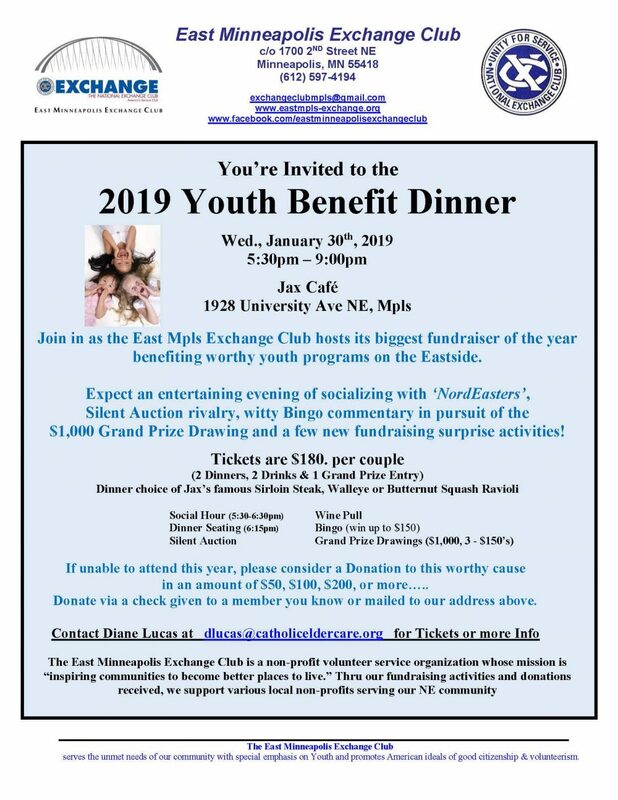 The Youth Benefit Dinner is in January each year. In 2019, we are gathering on Wednesday, January 30th. Our very own Gala event featuring the exquisite menu of Jax Cafe. Special events held at each annual event include Prize Drawing, Silent Auction, Wine Pull and unique Exchange Club version of BINGO! A treasured event that is rich in tradition, fun and entertaining for our wonderful supporters of our club!